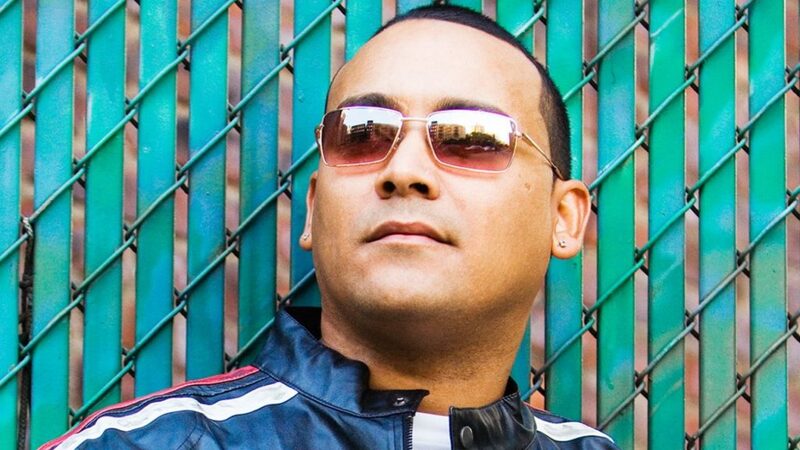 George Lamond sometimes styled George LaMond, is an American freestyle music and salsa music singer. LaMond has released seven albums (five via Sony Music) between 1989-2014. Best known for his 1989 #25 Billboard debut, “Bad of the Heart”, and his #1 salsa smash, “Que Te Vas” (which spawned an RIAA-certified Gold album). He also had a 2008 Top 5 radio hit, “Don’t Stop Believing”. In 1989 Lamond’s debut single “Bad of the Heart” was released on the indie label, Ligosa Records. “Freestyle”, as the song was quickly labeled, was a subgenre of dance/pop music whose origins go back to the early 80s in the Latino communities of New York City. By the mid-to-late 80s, freestyle would cross over to non-Latinos with support by Anglo radio stations across the U.S. with artists such as Shannon, Expose, Lisa Lisa, The Cover Girls, and Stevie B. The sales buzz of the single, “Bad of the Heart” and Lamond’s signature vocals quickly caught the attention of Columbia Records/Sony Music, and George was signed to a major recording deal. His debut album, “Bad of the Heart”, would peak at #25 on the Billboard Hot 100 but included a string of successful singles including “Without You”, “Look Into My Eyes” and “No Matter What”, a duet with Brenda K. Starr, which reached the Top 50 of Billboard. In 1992, “In My Life”, Lamond’s sophomore album was released, bolstered by the lead single, “Where Does That Leave Love”, which quickly charted high. The album contained a solid mix of freestyle and pop along with a couple ballads, all intended to further build his name within mainstream music. But national pop radio, at the time, was going thru a seismic shift, with a heavy R&B influence. By the time the album’s third and final single, “I Want You Back” was released (Spring, 1993), a remake of the Jackson 5 classic, with backing vocals by a then-relatively unknown Marc Anthony, Lamond would subsequently be dropped from Columbia Records. That same year, Lamond released his third album, and his first Spanish-language album,Creo En Ti, via Sony Discos, spawning two Top 15 Billboard Latin Singles, “Baby, Creo En Ti” and “No Morira”, the latter of which featured featuring Lisa Lopez. However, label support at Sony Discos ceased once Columbia Records ended his contract. Endless touring continued well into the late 1990s. In 1998 Timber! / Tommy Boy records re-released “Without you” 98 with various remixes by Willie Valentin (Valentin Bass mix and radio mix, slammin Sam Maxion, Sal Dano, Roc & Presta and JJ Flores. In 1999, while high-profile Latin music stars such as Ricky Martin and Marc Anthony engineered successful crossovers to the mainstream Anglo world, Lamond did just the opposite by returning to his roots to record salsa music in Spanish. His fourth album, Entrega (Prestigio/Sony Discos), went RIAA-certified gold. The album was bolstered by the smash lead single, “Que Te Vas”, which peaked at #23 on Billboard’s Hot Latin Songs chart and #6 on Billboard’s Latin Tropical/Salsa Airplay chart. Also in 1999, The Hits and More, Lamond’s fifth album was released on Robbins Entertainment, containing a collection of his former Anglo hits along with new material. The album included a special appearance by K7 as well as freestyle producer, Carlos “After Dark” Berrios, along with Lamond’s long-time producer, Chris Barbosa. In late 1999, Lamond was approached by producer Robert Clivilles, to be a part of a male group project for Sony Music Japan. Lamond accepted the offer, and over the next six months, Urban Society, as the group would later be named, recorded a full-length album with Lamond’s vocals. It was the first time Lamond ever recorded a completely pop album. Due to contract issues with Sony Japan, the album’s Asian release was delayed several times until it was ultimately shelved. In 2001, Lamond released his sixth album, GL, his sophomore salsa album, which reached #15 on Billboard’s Tropical/Salsa Albums chart. The first single, “Jurare Quererte”, peaked at #20 on Billboard’s Latin Tropical/Salsa Airplay chart. The follow-up single, “Volver Amar”, peaked at #35 on Billboard’s Latin Tropical\Salsa Airplay chart.